Chris Russill is an Associate Professor in the School of Journalism and Communication at Carleton University, Ottawa, Canada. He completed his Ph.D. in communication at Penn State, and his M.A. and B. A. at York University in Toronto. He is a former fellow at the Balsillie School of International Affairs, and a founding member of the International Environmental Communication Association and Carleton Climate Commons. He serves on the editorial boards of Environmental Communication, Science and Environmental Communication, and the Canadian Journal of Communication, and on the advisory boards of Palgrave Studies in Media and Environmental Communication, and Communication Undisciplined. Dr. Russill studies how media shape our sense of environmental crisis – and how new kinds of environmental crisis are given technological, cultural, and political expression. His initial research documented how the tipping point paradigm of environmental crisis was introduced in concert with media for recording, modeling and visualizing the atmosphere, and he writes on hurricanes, ozone holes, climate change and the Anthropocene from this perspective. 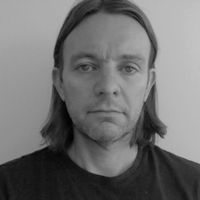 His current work explores how “the planetary” has emerged as an object of scientific inquiry, software design, visualization, political regulation and cultural interpretation, and how “the planetary” challenges the ecological, geographical and political frameworks that mediate our relationship to environmental crisis. He has also collaborated with open hardware and applied sustainability expert, Dr. Joshua Pearce. Russill, C. 2017. Tipping Point. The Companion to Environmental Studies. eds. Noel Castree; Mike Hulme; James Proctor. London: Routledge. Russill, C. 2017. The Media Without Us: Review of John Durham Peters’ The Marvelous Clouds. Culture Machine. Maddalena, K. and Russill, C. 2016. Is the Earth an Optical Medium? International Journal of Communication, 10, 3186-3202. Russill, C. 2015. Climate Change Tipping Points: Origins, Precursors, and Debates. WIREs Climate Change, 6, 4, 427-434. Russill, C. 2015. Earth Imaging: Photograph, Pixel, Program. In S. Monani and S. Rust (Eds. ), Eco-media. New York: Routledge. Pp. 228-250. Russill, C. 2015. The ‘Climate’ of Communication: From Detection to Danger. In S. Dalby and S. O’Lear (Eds. ), Reframing Climate Change. New York: Routledge. Pp. 31-51. Russill, C. 2015. Planetary Pragmatism. Language Under Discussion, 2, 1, 27-34. My writing on 350, Whale Wars, and Climate Central, an experiment with climate change TV, can be found here: http://flowtv.org/?author=332. I have also written on pragmatism and problem-oriented approaches to publics, communication and politics.